“I’ve been in the church all my life. I’ve worked, probably, in 600 prisons in this country. 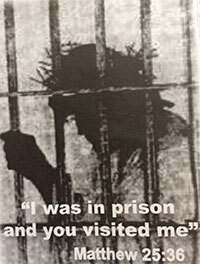 I’ve seen more of Christ and more of Christianity, this week, in this prison, than I have seen in all my life.” (After observing a Kairos weekend) . . . William Nagel, author of Red Barn, A Critical Look at the Modern American Prison, and one of America’s leading authorities on corrections.